The Boston Marathon is one of the biggest single-day sporting events in the United States. 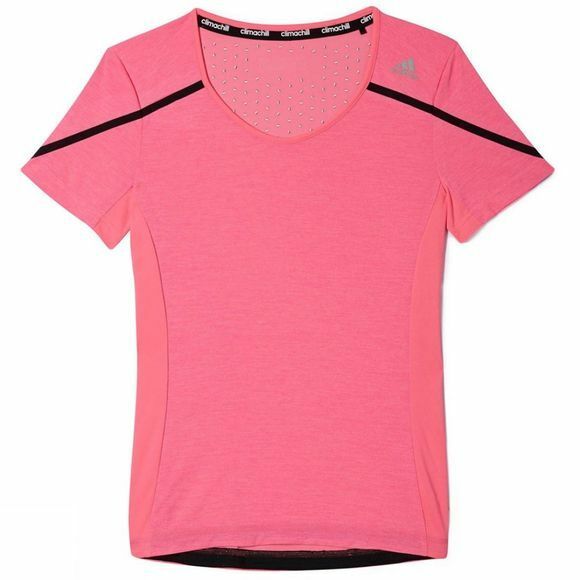 This women's running t-shirt pays tribute to those celebrated 26.2 miles with a reflective Boston Marathon logo at the hem. 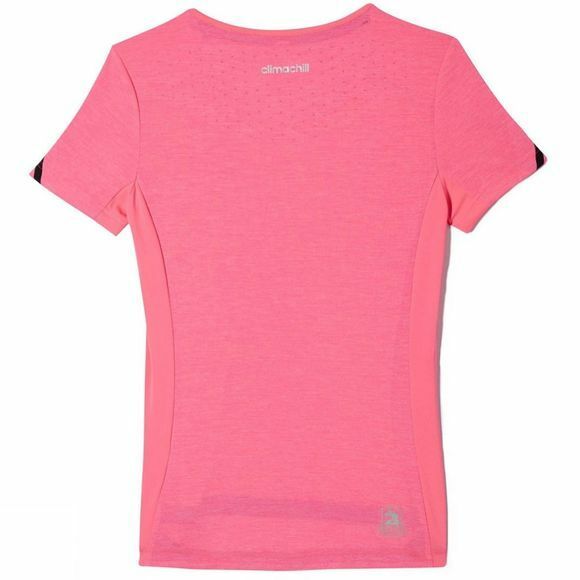 The lightweight tee has a slim fit and is designed specifically to support a runner's muscles for better fit and comfort as you move. Climachillâ„¢ fabric allows airflow while aluminum-silver microdots conduct heat away from the body.